Sandy had never heard of Plone before, now she had a weekend to become familiar with it. It started when she finally got a call back to work with a medium sized non-profit looking to add a full stack developer to their team. She had applied because she figured her experience with both backend and frontend development made here a good fit. It was now Friday and they wanted her to start next Monday. No problem. Except for that little Plone thing. During the last discussion the head of the development team mentioned that they expected her to be able to "build Plone add-ons". So she did what any sensible developer would do. She turned to Google. Update April 27, 2014: Changed the command for plock to use pip install --user. Update Oct 8, 2014: If you'd like to get updates about the PNDK, fill out the sign up form. After ensuring that her machine had all the recommended dependencies she followed the instructions in the guide. Woah, a 7 minute install, that's faster than when she tried out Node.js. She then launched the application server and created her first Plone instance. Adding Dexterity content types she was able to create a deceptively simple looking "staff profile" content type and a few minutes later she had deployed the whole thing to Heroku. Not bad for her first day. 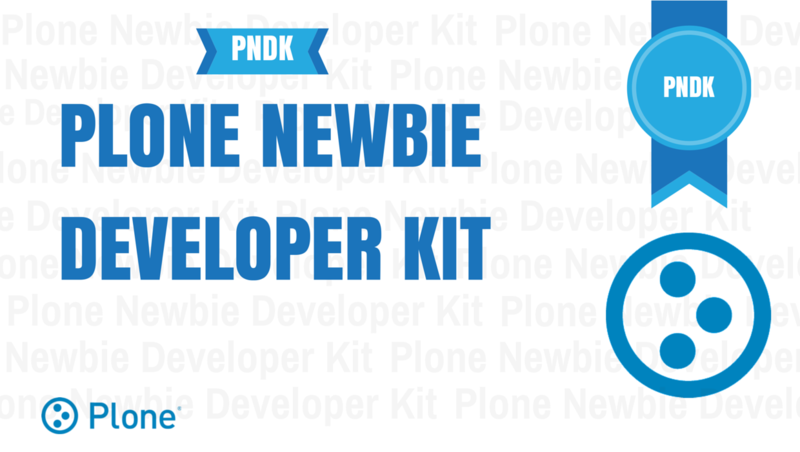 All in all the PNDK was just enough to kick start her Plone journey, not too fiddly with additional side notes that helped to fill in some of her newbie gaps. She was especially thankful for the screenshots, which she would constantly compare to her screen to confirm that she was on the right track. This is the story I now carry in my head as I work on my latest personal project, the Plone Newbie Developer Kit. For more information about the rationale read the background to the PNDK. At the time of writing the PNDK is a work in progress and certainly has some gaps. All of that will change as it is refined over the next 3 to 6 months to make it match the experience of the story told above. Cool project, David. Interested to see this take shape.